Webinars, eBooks, emails... and so much more. It's all here in one convenient spot! 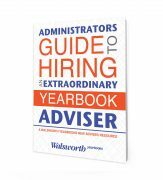 Walsworth’s helpful resources for new advisers will make your job easier! Bookmark this page and visit often as new resources are released frequently. 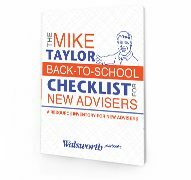 Our eBook, "Mike Taylor’s Back-to-school Checklist for New Advisers," walks first-time advisers through their summer to-do list. 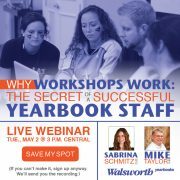 Watch the replay of our May 2 webinar, "Why Workshops Work" and learn why summer yearbook camp can be so valuable. 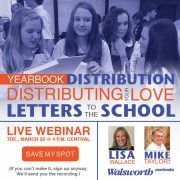 Our March webinar with adviser Lisa Wallace and Mike Taylor, CJE, was filled with great tips for distribution day. Catch the replay! 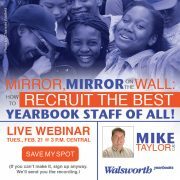 Even if you missed our February webinar on recruiting with Mike Taylor, CJE, watch the replay! 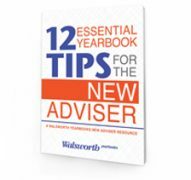 Our eBook "12 Essential Yearbook Tips for the New Adviser" offers crucial information for the first year. 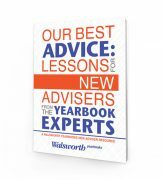 Read guidance from award-winning advisers in the eBook, "Our Best Advice: Lessons for New Advisers from the Yearbook Experts." 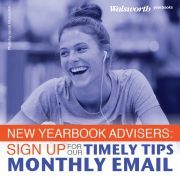 Subscribe now to our Timely Tips email, and get helpful, relevant tips each month. This eBook outlines the most vital characteristics administrators should look for in a new adviser. 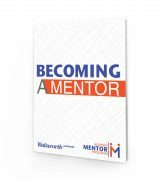 Learn more about our Adviser Mentor Program with this eBook, filled with advice from award-winning adviser Jim Jordan. Our First 30 Days lesson plan will help you get the school year off to an organized start. Available in Online Design and InDesign versions!